TS EAMCET 3 Results 2016 check online at www.tseamcet.in. The Telangana State Council of Higher Education has successfully conducted TS EAMCET 3 exam on 11th of September 2016 across Telangana state. The students who are looking for admissions in MBBS, BDS courses and applied for the TS EAMCET 3 exam can check their results now. Lakhs of student have appeared for the exam and successfully completed the examination. All those students are waiting for the announcement on TS EAMCET 3 Results 2016 release date. The Telangana education board has announced that they are going to release the results today i.e on 15th September 2016. The official results link are available at authorised web portal www.tseamcet.in. We have also placed the direct link of TS EAMCET 3 Result 2016 in this blog. The students can utilise the below attached link to know their results. The students will be asked to provide their hall ticket number and date of birth details in the required field to obtain TS EAMCET 3 Results 2016. The applicants have to enter the correct details to get their results. After entering the details, students results page will be opened and subject wise marks will also be displayed on the screen. 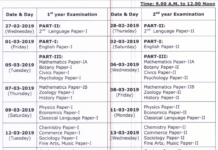 The Telangana state education board has also announced TS EAMCET 3 counselling dates along with results. The students who have cleared the exam have to attend the counselling session to get admission for medical courses. As per the news article, the TS EAMCET 3 counselling will start from 17th September to 20th September 2016. Qualified students can start TS EAMCET 3 web options entry on 21st and 22nd September 2016. On 23rd the seat availability details of various medical courses will be announced. Kaloji Health University is planning to complete the 1st phase of TS EAMCET 3 counselling before 23rd September 2016. Check the below-given notification on the complete process details of TS EAMCET 3 Results 2016 web counselling dates. Board Name: Telangana State Council of Higher Education (TSCHE). 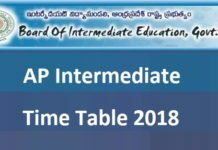 Name of the Exam: TS EAMCET 3 Medical Entrance Exam. TS EAMCET 3 Results Release Date: 15th September 2016. TS EAMCET 3 Web Option Entry Dates : 22nd, 23rd September 2016.